Greetings, and welcome the Woodhaven History Digest for June 2017. Click here if you are having trouble viewing this email! We're going to start with a reminder that we're having our BIG PARTY AT THE FOREST PARK CAROUSEL at the end of this month - Friday, June 23rd, from 6 to 8 p.m. This is a great event for people of all ages, but especially those with children! Tickets are $10 and for that you get unlimited rides on the rides, including the Forest Park Carousel and the Woodhaven Express! There will also be a fun Magic Show and a lot of great raffle prizes - and lots of them are for kids!! All of the proceeds go to the Woodhaven Cultural & Historical Society so please help us spread the word! 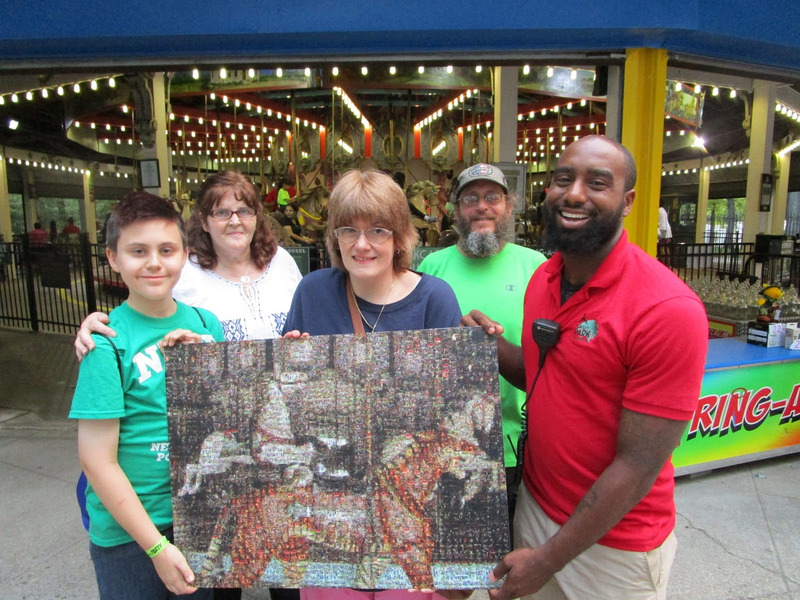 Special thanks to the Forest Park Carousel for their generosity! They are now open 7-days a week for the summer - click here for more information! 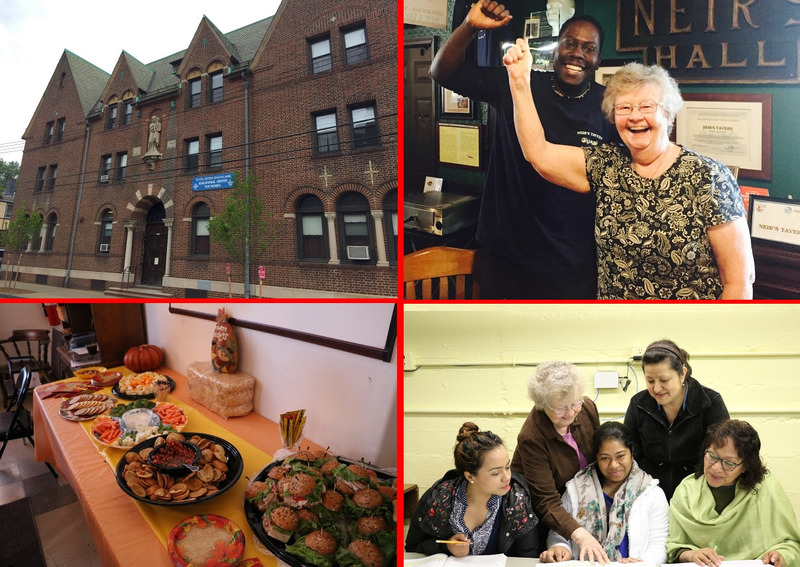 What's Your Woodhaven Story? 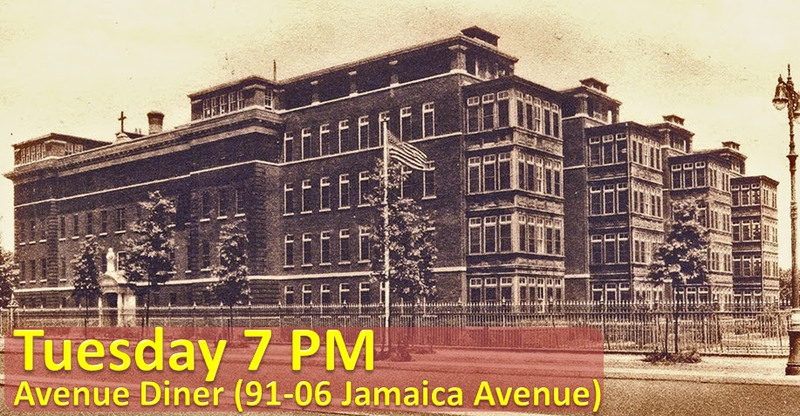 Our next meeting of the Woodhaven Historians takes place at 7 p.m. on Tuesday, June 6th at the Avenue Diner (91-06 Jamaica Avenue). At this meeting we'll be looking at some old pictures but mostly we want people to have the opportunity to share and listen to their memories of Woodhaven. Click here to read all about it! What was your favorite store? What school did you go to? What was your favorite teacher? Your favorite playground? 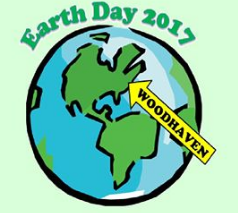 Come out and tell us your Woodhaven story! Forest Park Memorial Drive - As requested by the Woodhaven Cultural & Historical Society (WCHS) and American Legion Post 118, and thanks to a bill submitted by CM Elizabeth Crowley (which passed unanimously), Forest Park Drive was rededicated as Forest Park Memorial Drive in a ceremony at Oak Ridge. It was almost 98 years ago to the very day that these young men were honored by our community at this very spot -- and it turned out to be a very nice ceremony - click here to see some pictures and lots of video. 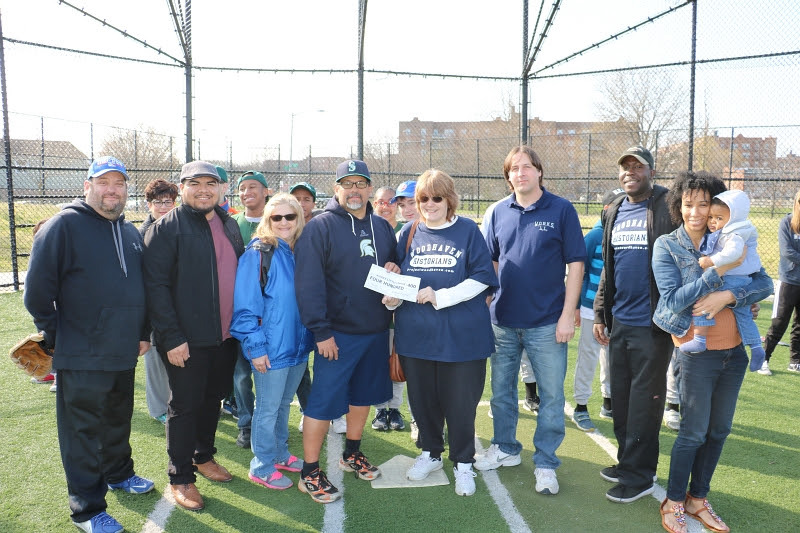 Bonus: We were very happy to see this get nice coverage in the local papers - here are some links: The Leader-Observer, The Queens Chronicle, The Queens Tribune, and QNS. 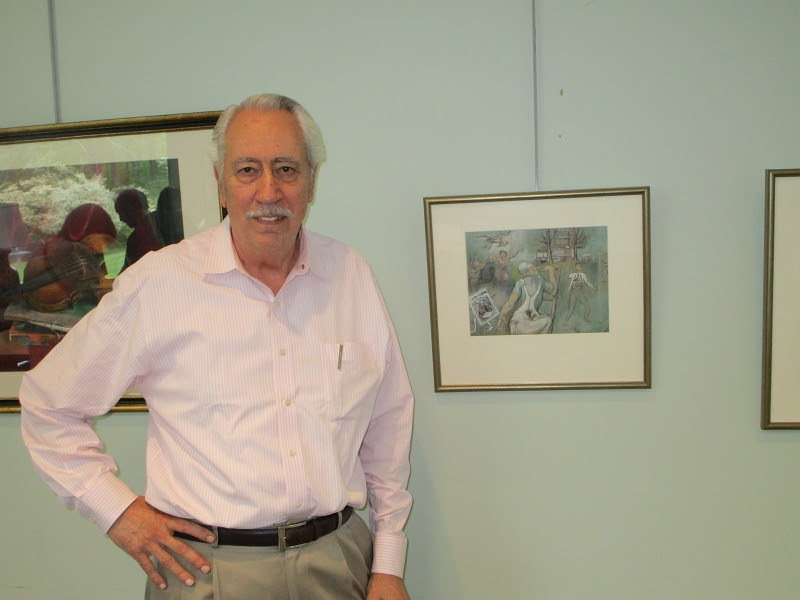 An Artist Pays Tribute to Woodhaven Landmark - Artist Madeline Lovallo is well known around our community for her painting of Lewis' of Woodhaven. She has also painted local landmarks such as the Carousel, Oak Ridge, and the FDNY Dispatch Building on Park Lane South and Woodhaven Blvd. And now she has added a new Woodhaven painting to her collection - a beautiful painting of Emanuel United Church of Christ, which recently celebrated its' 140th Anniversary! We were fortunate to be able to watch the development of this painting and we documented it for your enjoyment! Click here to see pictures and video of the painting while Madeline painted it on a busy Woodhaven Boulevard! Please note that Madeline's work will be on display at an exhibit at The Center at Maple Grove in Kew Gardens from June 3rd through June 30th. And tomorrow, June 3rd, there will be a Wine & Cheese Reception for the opening of the exhibit starting at 3:30 p.m. followed by a FREE Concert featuring Mariel Pacific. 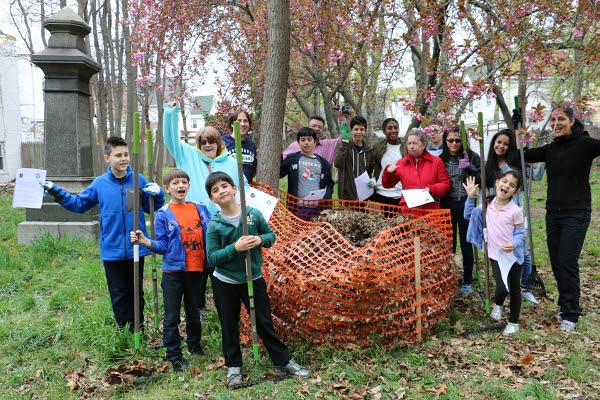 Come Visit Woodhaven's Historic Cemetery - Since 2014, the Woodhaven Cultural & Historical Society has been hosting monthly cleanups at the Wyckoff-Snedicker Family Cemetery on 96th Street and 86th Avenue, behind All Saints Episcopal Church. It's been a lot of work, but it's currently looking really nice and we'd like to start seeing more visitors! Our next Open House will be on Saturday, June 10th from 11 a.m. to 2 p.m. We will be doing light work that day and would love some volunteers - but we're also open for tours of this historic burial ground - please visit and take a walk around! Please note that we spent a lot of time working on the back corner of the cemetery, which used to be very hard to navigate - but you should see it now! Check out this video detailing the restoration of one corner of our cemetery! Revolutionary War Hero Topic of Historical Lecture - On Wednesday May 31st, a packed meeting of the Woodhaven Cultural & Historical Society was graced with a presentation by one of its more beloved and long-standing members, June McCowan. 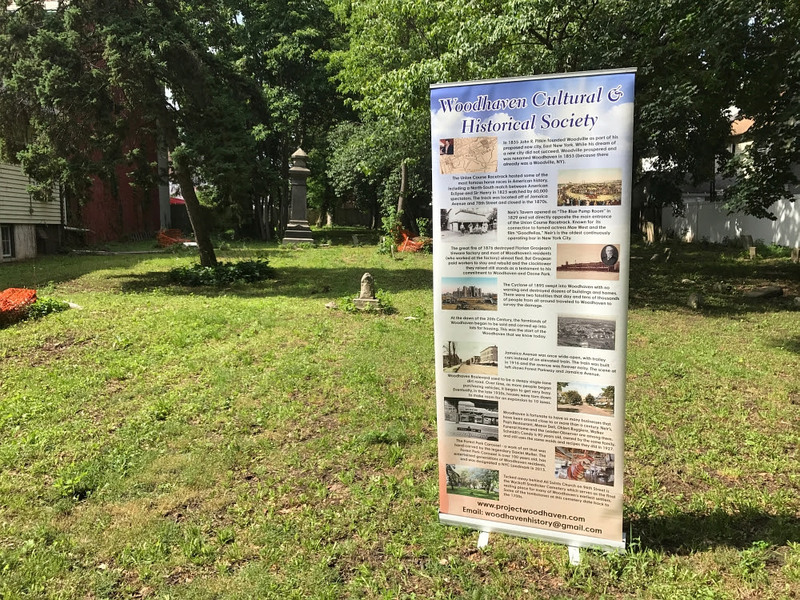 This month's presentation was about Marinus Willett, a hero of the Revolutionary War, and June McCowan's 3rd Cousin (5 times removed, or number of generations between people). 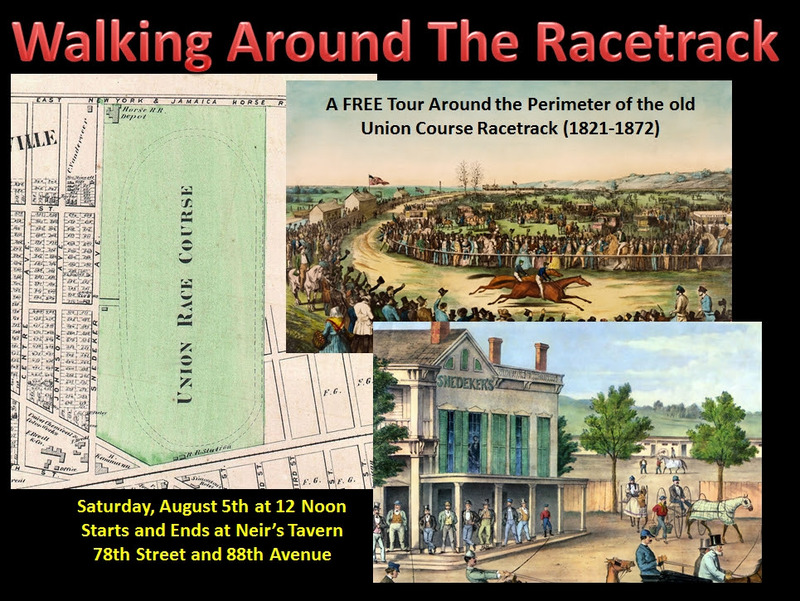 This was a must-see presentation for fans of history, especially the Revolutionary War - but if you missed it, you can click here to enjoy it! Annual Woodhaven Penny Social - On Wednesday June 28th the Woodhaven Cultural & Historical Society will host its annual Penny Social - a Raffle Prize Party that's a lot of fun! Come out to bid on a wide variety of different items, donated by our membership. 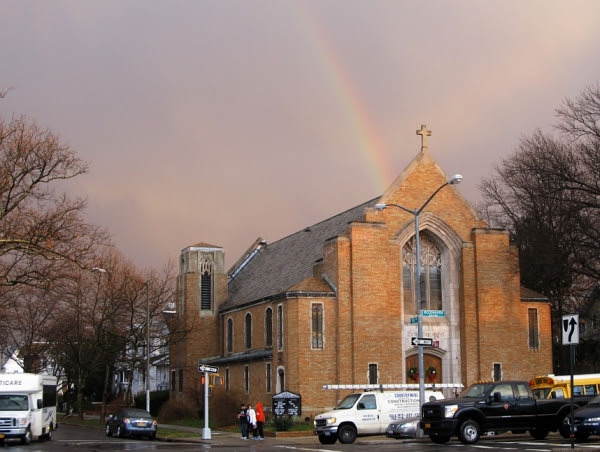 The event starts at 1 p.m. and will be held at Emanuel United Church of Christ at 91st Avenue and Woodhaven Boulevard. Here's how it works: when you arrive, there will be several long tables with a lot of different items, everything from books to knick-knacks to decorations and more. There are always lots of interesting items up for grabs. Then you can buy tickets and go around and place bids on the different items. Donations will be happily accepted to auction off - bring them on the day of the event (or call us at 718-805-2002 to arrange pickup). 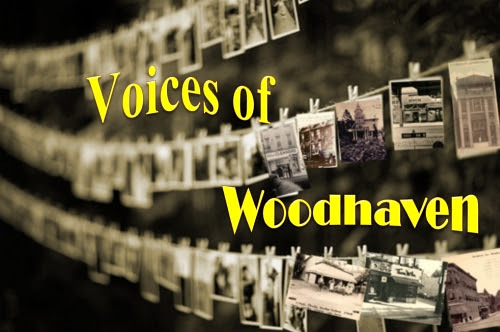 Jeff Lewis on Voices of Woodhaven - As noted above, we are collecting oral histories from Woodhaven residents and we were happy to hear from Jeff Lewis, who wanted to share stories from his early days in Woodhaven. 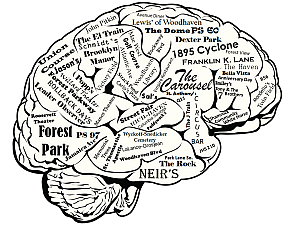 Jeff went to the old wooden PS 60 and grew up in the Wyckoff and has a lot of good stories to tell. Click here to hear Jeff Lewis. Want to share your memories with us? Email us and let's talk!! Jamaica Avenue EL Turns 100! - At 7:17 a.m. on Sunday, May 28th the elevated train that runs through Woodhaven turned 100 years old! Click here to read about the controversial process that led to the construction of the elevated train through our community. Opponents predicted destruction and the city promised a train that was "practically noiseless." 100 years later, neither side's predictions held up very well. (BTW, that's Forest Parkway in the image above. If it looks like a different building instead of Chase Bank, that's because it is! 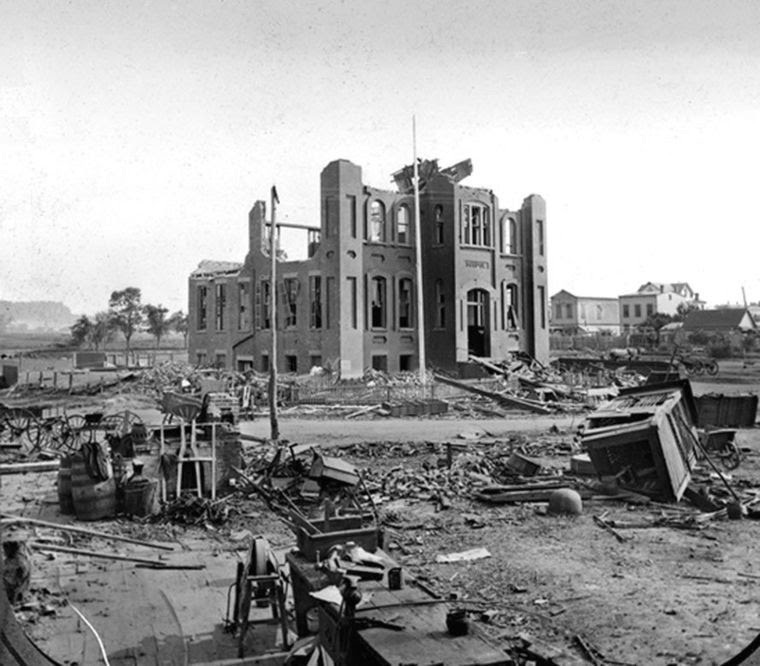 That's the Bank of Long Island which was torn down in the early 1920s). Woodhaven Loses a WW2 Veteran - We were sorry to lean of the passing of Al Matukonis, a 99-year old Woodhaven resident and World War 2 veteran. 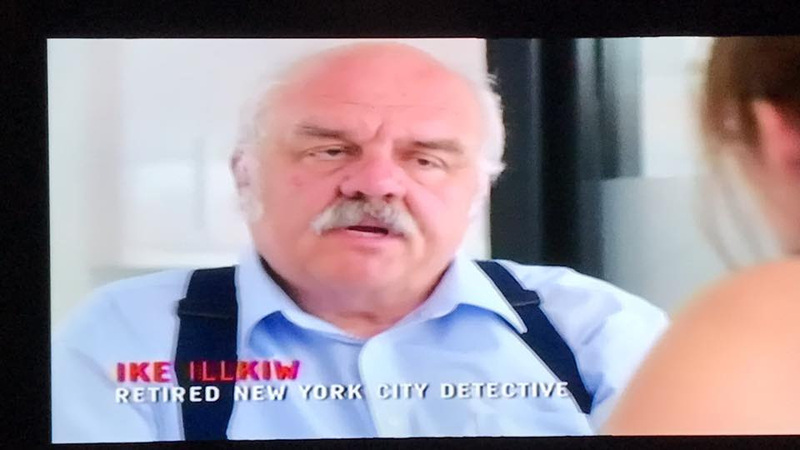 Click here to read about Hot Dog Al. Memorial Day at the American Legion - We were honored to attend the annual Memorial Day Observance at American Legion Post 118. Happy to report that there was a nice crowd and that the traditional Garden of Remembrance looked beautiful. Click here for some pictures and video. Queens Memory Project - Click here to view the latest news and announcements from the Queens Memory Project (Queens Library). Forest Hills Festival of the Arts - Click here to read about this event in Forest Hills - sounds like a lot of fun! Sunday June 11th on Austin Street (between 69th Road and 72nd Road) from 11 a.m. to 6 p.m.
Kew Gardens - Kids Art in the Park - On the same day as the Forest Hills event (above) - the best attended children's event in Kew Gardens! Sunday, June 11th, 11:30am-3:30pm, Kew Gardens Cinemas Park (on Austin Street, off of Lefferts Blvd). 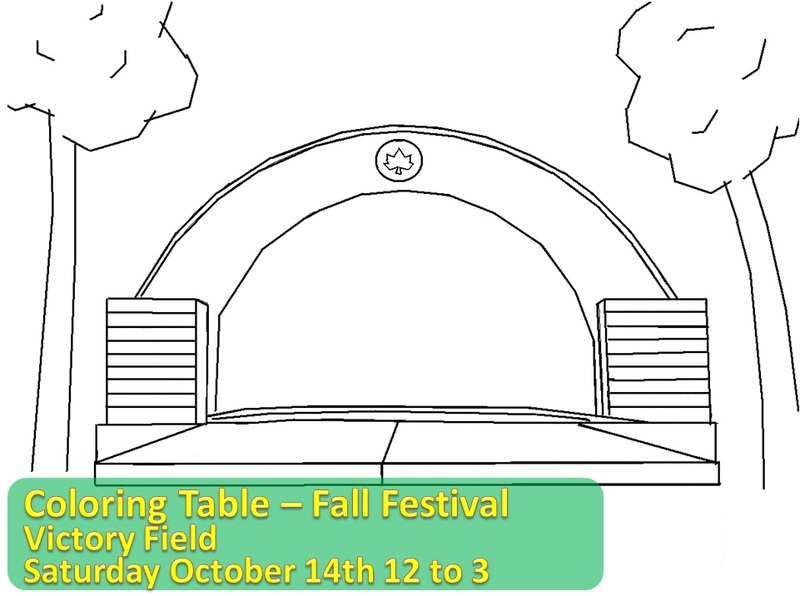 Mural painting, arts and crafts, face painting, story time - activities all day for kids of all ages! Sponsored by the Kew Gardens Council for Recreation & the Arts. Civil War Living Historians Presentation - The Friends of Maple Grove Cemetery present a Civil War Living Historians Presentation by Company K, 67th Long Island NY Historical Association complete with Civil War Re-enactors and Living Historians. Saturday, June 17th from 11 a.m. to 5 p.m. outside at the Maple Grove Victorian Administration Building, Lefferts Blvd. and Kew Gardens Road Entrance. Lectures on the Life of a Civil War Soldier, Military Drills, Diet, Medical Treatment, etc. FREE to the Public – Donations accepted for the Preservation of Civil War Battlefields. For further information call (347) 878 6614. Etched Glass Jewelry Workshop - This enjoyable class on the art of making fused glass jewelry will be held at the Victorian Admin. Building at Maple Grove Cemetery (83-15 Kew Gardens Rd., at Lefferts Blvd., Kew Gardens, NY) on Sunday, June 25, 2017 from 1:30 p.m. to 4 p.m. Free parking in the cemetery. Enter at Kew Gardens Rd. & Lefferts Blvd. Fee: $25/$20 for Members, fee includes all materials - glass pieces and wire. Light refreshments will be included. 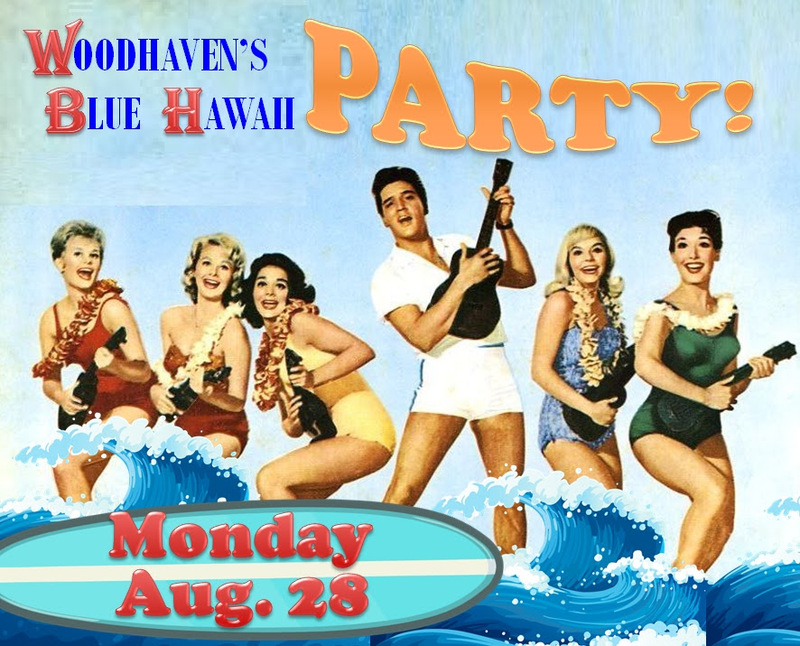 RSVP to hday525@aol.com. Brian Hyland - Woodhaven History Fan Jimmy Beck sends along news that he and his wife attended a six act oldies concert in Westbury at the end of May. One of the featured acts was Brian Hyland, who attended St. Thomas Apostle and Franklin K. Lane while living just a stone's throw from Neirs, around 78-16 87 Rd. He sent along a few pictures of the Woodhaven native who hit it big with such hits as "Sealed With A Kiss" and "Itsy Bitsy Teenie Weenie Yellow Polka Dot Bikini." We'd love for Brian to participate in our Oral History Project - so if anyone knows how to get in touch with him, help us out! 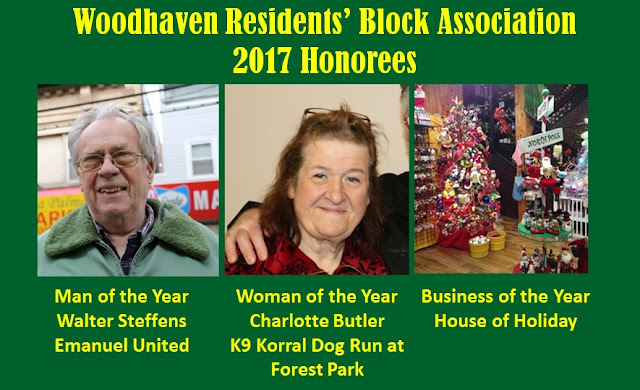 A Woodhaven Story Through and Through - Click here to read about Walter Steffens, Woodhaven resident, former Leader delivery boy, and resident of the same block for 77 years. In fact, this article serves as a follow-up to a front page article from the Leader almost 70 years ago! 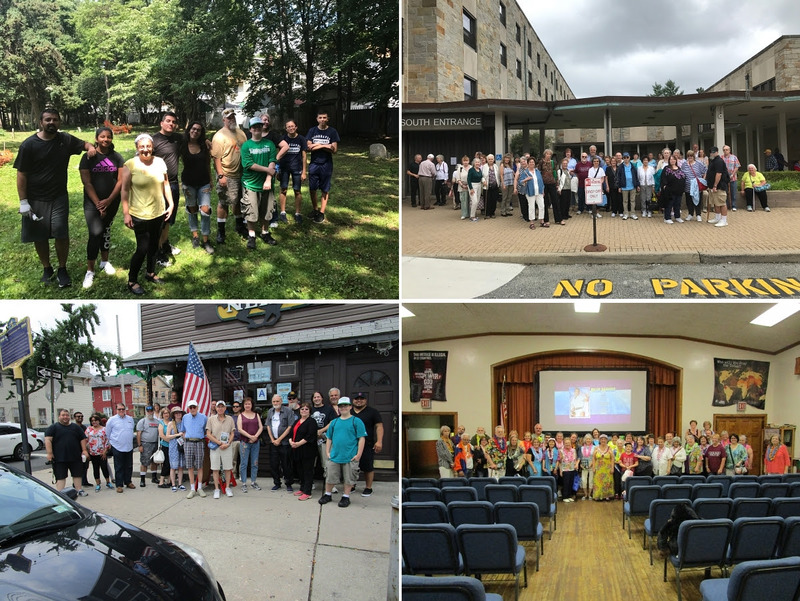 Woodhaven Institution Celebrates 140 Years - Click here to read about the history of Emanuel United Church of Christ, which recently celebrated their 140th Anniversary! Note: This was one of the topics covered this past Tuesday at the monthly meeting of the Woodhaven Historians. We meet on the 1st Tuesday of every month at the Avenue Diner, starting at 7 PM. Attendance is free and everyone is welcome. The next meeting is on Tuesday, March 7th. We are expecting a very special guest presentation - announcement coming soon! February 7th, 1967 - Blizzard Hits Woodhaven! New York City was blanketed with 11 inches of snow 50 years ago. Similar to the storm that's hitting us now 50 years later, this storm was preceded with unseasonably warm weather. 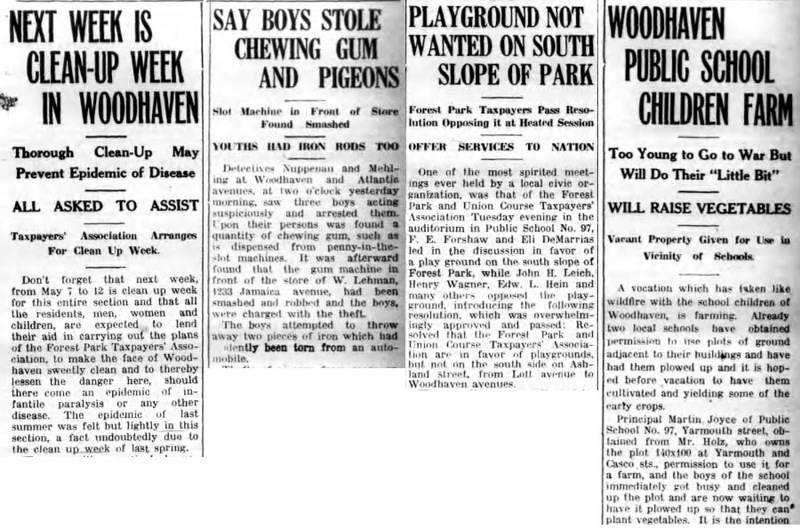 In fact, just 1 week before the storm, the following appeared in the Leader-Observer, a picture of neighborhood kids on a see-saw in the playground at 79th and Park Lane (now Mary Whalen). The Leader-Observer lashed out at the city in an editorial entitled "Victim of Neglect." Snow removal operations after last week's storm were a fresh reminder that while Queens pays taxes to the city, the Borough is invariably the victim of municipal neglect in an emergency or at any other time. For days after the snow ended the situation was especially desperate in Woodhaven side streets. Many were impassable for days before the plows finally came and scarcely better after they had gone. The fact thousands of residents must park their cars at the cubs serves to aggravate the problem, but not to excuse the city's failure, after years of listening to complaints, to muster the equipment and manpower to deal effectively with an emergency such as last week's blizzard. The city has ordered a bevy of new trucks to intensify its towaway campaign in Manhattan. It would be a banner day in Queens if it would bestir itself to act of some of the borough's chronic problems, including snow removal. Sounds like not much has changed! 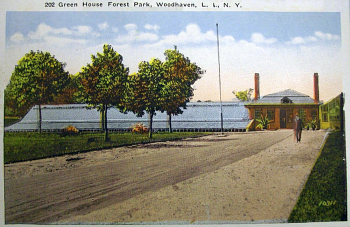 During a conversation with Woodhaven's Walter Steffens, he mentioned a pond in Forest Park that he used to go to when he was just a boy. That would have been in the late 1940s or so. It was interesting where he said the pond was located as it's been right under our noses all along. We entered this fenced-in area about 2 or 3 years ago but left pretty quickly. There is a very steep drop and it didn't seem all that safe. Besides, it just looked like a fenced in area, untended, unkempt -- nothing worth paying much attention to. As it turns out, we were wrong. We really should pay better attention to everything. The area at left, the fenced-in area is what we were interested in. There are a few breaches in the fence (some from where falling trees took down a section) but we were content to take pictures from over the fence - it isn't that high and it would give us a good view of the entire "former pond." And from the looks of it, it was kind of deep! You can see the steep banks of the pond which must have been drained (or dried up naturally) sometime long ago. When? We don't know, but we have started to do a little research. For example, this 1951 overhead shot is interesting - and appears to show the water, though it's hard to tell the difference between the water and the trees. Another part of our research is that we hope by posting this, someone out there will remember this pond and give us some details. It would be nice if something could be done with this piece of land. Could it be turned back into a small pond? Maybe it could be filled in -- with some trees and grass and benches it could be a nice quiet area to sit. It's a nice sized piece of land, measuring over 500 feet by 200.